Both the Road Haulage Association (RHA) and the Freight Transport Association (FTA) have responded to the publication of new proposals from the Liberal Democrats regarding a potential scrapping of tolls for users of the Severn Crossing. 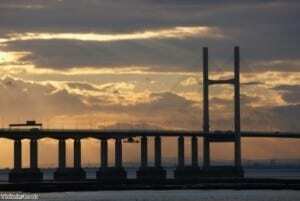 Set to be included in the political party's 'Pre-Manifesto' ahead of the general election in 2015, the Lib Dems have stated they plan to remove all tolling from the Severn Crossing should they win at the polls. In response, both the FTA and RHA stated the move would have the potential for great benefit for haulage providers across the UK, although the RHA was less enthusiastic about the realities of the scheme than the FTA. RHA chief executive Geoff Dunning commented: "If the Lib Dems abolish the tolls there can be no instance whereby the subsequent financial loss is recouped in other areas – such as an increase in fuel duty. In addition, there must be continuity of the rigorous safety and maintenance standards currently in place." He argued that it cannot be a case of "robbing Peter to pay Paul", as doing so would actually lead to a worse situation than the haulage industry now finds itself in, while at the same time creating an issue for the economy as a whole. Having said that, Mr Dunning did note that the RHA is fully in favour of any measures that will limit the financial burden for UK haulage providers and this scheme could provide just those benefits, but as always, the devil will be in the detail. Meanwhile, the FTA's head of policy for Wales Ian Gallagher stated that the continued increase in the cost of tolls in recent years has presented a problem for many logistics providers and it would therefore be an extremely welcome move should this abolition of tolling come to pass. "We hope to see this policy included in all the main political party manifestos," Mr Gallagher concluded.